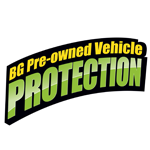 Providing solutions with BG Pre-owned Vehicle Protection | BG Products, Inc.
Archer Perdue Suzuki has been doing business with BG Nebraska for a few years now; however, we have not taken full advantage of the available BG programs. Our company was formerly referred to as a Suzuki new car dealership, but we are currently a used car dealership. 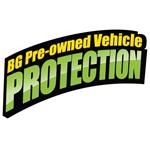 In the last eight months, we have implemented BG’s PVP program, which is a pre-owned vehicle protection plan for new or used vehicles with fewer than 120,000 miles that covers up to $2,000 on serviced parts. Recently, we sold a 2014 Dodge Journey to a customer wherein the vehicle had 63,000 miles on it, and for most of us, that kind of mileage would be considered just breaking it in. The vehicle was totaled 67 days after purchase and the owners had added roughly 1,800 miles to the original 63,000. It was determined that the motor had locked up. Because I found this to be curious causing me to be skeptical of the determination, I contacted my BG representative, Jason Allen. Jason immediately arrived at my facility and walked us through the process. In a very short time (under 10 minutes), we received a telephone call from the Corporate Office of BG wherein we were provided an authorization number to install a used motor which had 41,000 miles. Under BG’s PVP program, $2,000 was paid to us once we completed the installation. My staff and I have always been BG fans; however, the response we received is extraordinary. Every car will now have the PVP Protection Plan and every customer that walks through our shop’s door will have the option to continue the protection. Thanks to BG from a Loyal Customer.